©2012 Warner Bros. Pictures. All Rights Reserved. The Hogwarts Express is indeed coming, and the permits Parkscope discovered on June 1st are indeed for it. A contractor who worked on Phase 1 (and perhaps 2) of WWoHP has been making waves the past two days by making some rare posts on WDWMagic. Early on, he claimed that the Hogwarts Express could become the second E-Ticket of the expansion, and it appears, that nothing has changed. For those who are unfamiliar with the term "E-Ticket," it originated with Disney when they had ticket books for attractions. An E-Ticket was required for attractions like Haunted Mansion, Pirates of the Carribbean, and Space Mountain. Today, the term is used to describe attractions of great scope, detail, and theme. For example, Forbidden Journey, Spider-Man, Tower of Terror, and Kilimanjaro Safaris would be E-Tickets today. 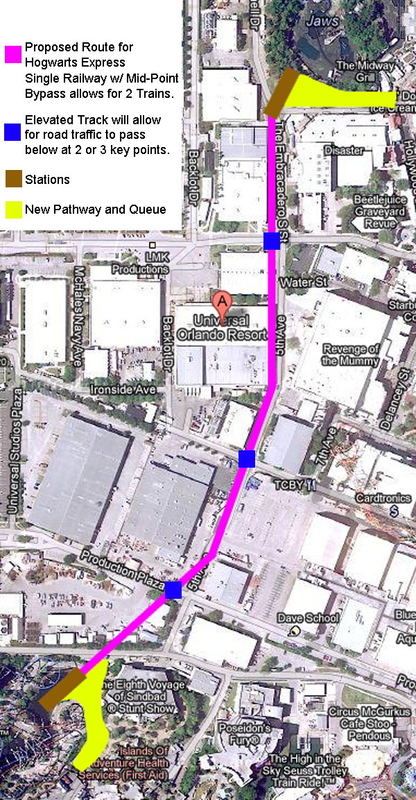 As you can see, we seem to be in for a real treat when Phase 2 opens in a few short years. From WhyLightBulb's posts, it seems safe to assume the Hogwarts Express ride will feature the scene from Prisoner of Azkaban where Dementors attack the train looking for Sirius Black. 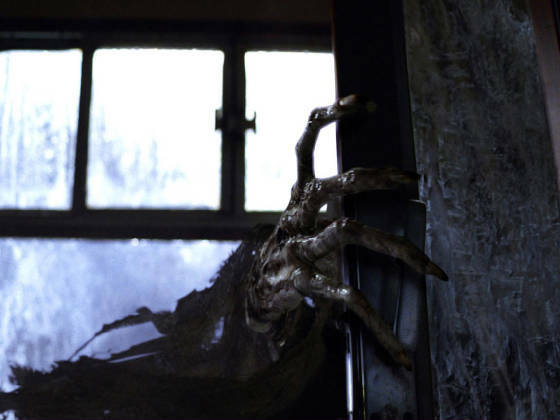 In the scene, the train comes to a complete stop, rattles, and Dementors enter compartments. Then, everything gets dark and very, very cold. This is what happens when Dementors attack. The best way to recuperate from a Dementor attack is to eat Honeydukes' Chocolate (which you will be able to purchase when you arrive in Hogsmeade.) It is exciting to see they are going for a realistic experience with thrills and chills. 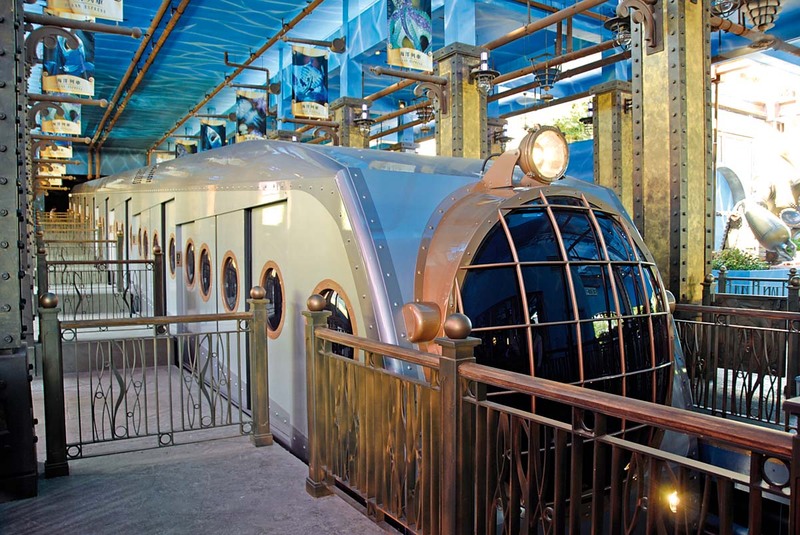 Hopefully, while realistic and scary, the ride will still be accessible to most guests. What would be very cool, in my opinion, would be for random ride sequences like Star Tours 2, but I am not sure what else they could do. It will also be interesting to see what happens on the journey from Hogsmeade to Kings Cross as nothing of note happens in the films or books. It will be very fascinating, in time, to see how they accomplish the window effects and what the train will be like exactly. 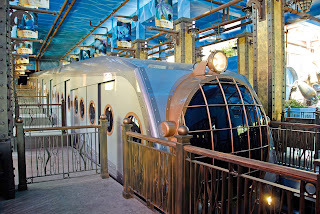 All we have to go on at the moment is the possibility of it being similar to the Ocean Express at cean Park in China. We also know it will be backstage and elevated. From the outside, it will need to look like the Hogwarts Express when we load and unload. This project is very exciting because not only will the finished product be ground breaking, we have little idea how any of this will be accomplished. Screamscape's proposed Hogwarts Express layout. One thing is certain, this is not just a form of transportation, it will be an experience. Along with the Dementor attack, we have Kings Cross, Platform 9 3/4, and Hogsmeade Station to look forward to. The scope of this project is huge. And when you have the train linking the individually awesome Phases 1 and 2, it will be a sensory, emotional, and magical experience. Potter fans will lose their minds, and I think true theme park fans will also. I do not think anyone ever (realistically) saw this coming five years ago when Phase 1 was announced. 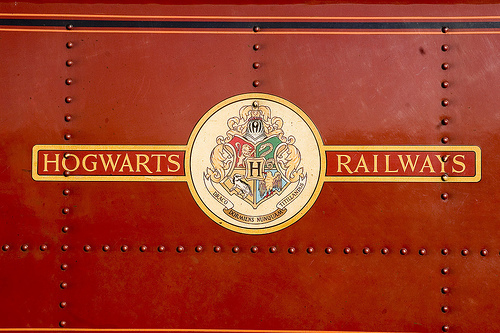 As of 6/7/12, the three Hogwarts Express permits are still under review by the City of Orlando. In the next month or so, we should see them laying out the stations and track. Visit wdwmagic for a good discussion on the rise of Universal which of course includes WWoHP2 talk. The discussion was started by the same article that inspired our series of articles entitled "Universal Century" posted last month. Marni1971, Lee, WDW1974 (Spirit), and WhyLightBulb are good posters to keep an eye on. And as always, discuss WWoHP2 on Orlando United. Follow @CaptMichael87 and @Parkscope for updates on Twitter, and please keep checking the blog.